Nord Engineering Machinery Co.,LTD is located in Ningbo China,who can supply staping parts.Nord stamping factory is near Ningbo port,traffic is very convenient.Nord is engaged in producing stamping parts with different materials,such as carbon steel,stainless steel and so on.we can produce stamping die, progressive die, precision sheet metal stamping die and so on. We sell stamping parts to all over the world,our customers are always satisfied with our stamping parts quality. High production rate assure low production cost.No matter what kind of stamping parts you need,just contact us,we can quote a favorable price for you.Dont hesitate,let us put our expertise to work for you. 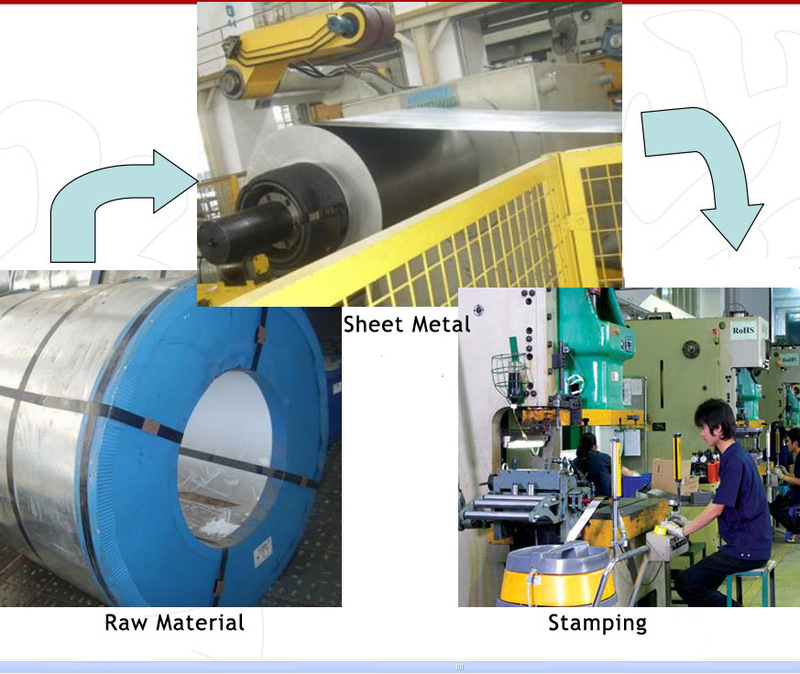 Metal stamping is a process in which metal sheets are fed into a high tonnage press between stamping dies to form and cut metal -essentially delivering competed or part completed components in high volumes at a competitive production cost. Our company has many years experience within precision metal stampings and our commitment to excellence over this time has extended our metal presswork capabilities tremendously. We welcome the most complex of stampings and pressings required for critical and precision applications, including hardware parts and automotive parts. Processing method for stamping parts :Pressing, Bending, Piercing, Tube Bending and Forming, Various types of Welding, Deep Drawing, Riveting, Fine Blanking Assemble. Stamping parts are widely used in Auto spare parts, Motorcycle spare parts, Hardware parts, Electronics parts, Aerospace Parts, Industrial Parts, stamping & assemblies etc. Our company is professional in stamping parts with the different materials: In both ferrous and non-ferrous alloys (carbon steel, stainless steel, aluminum alloy, mild steel).All kinds of surface treatments for stamping parts are available: Polishing, zinc plating, nickel plating, chrome plating, power coating, phosphate coating,etc. Links: China stamping parts,China stamping parts manufacturer, China stamping parts factory,China stamping parts Company,China stamping parts Supply,China stamping parts,China stamping parts Corporation,China stamping parts Inc,China stamping parts Co.,LTD,China stamping parts supplier,etc.